For styling product, my stylist also suggested a thickening mouse and creme. 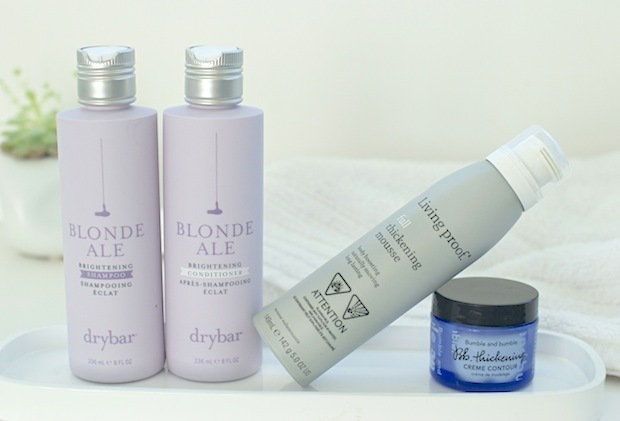 These both give me some ability to get volume in, while still taming the mane. Who’da thunk i’d be dealing with big hair? But really, without the creme it’s Kramer all the way! Eyebrows. i used to have thick ones that were the bane of my existence. Now, they’ve morphed into thin, almost non-existence patches. arggg. Now if i could go back to the former, you wouldn’t hear one complaint! 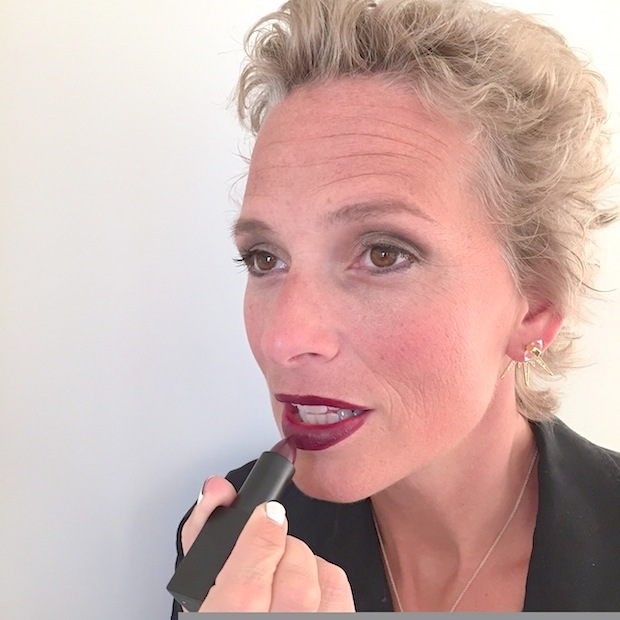 This fall, i had a Smashbox beauty expert do my makeup and i was blown away. My eyebrows looked natural and thick and sculpted. Not that i ever used to think i cared about that…but once you don’t have those brows, you feel like your face looks completely different. Maybe older too? Anywho..she got me onto these two brow sticks. Contrary to some varied reviews, i am loving these sticks. Maybe the magic is in using them both together. 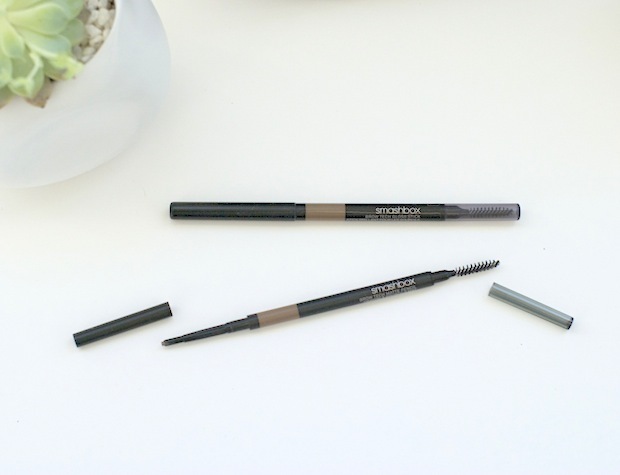 The Tech Eye Pencil is super fine and allows you to add hair-like strokes. But what makes the brow look even more natural is the addition of the Gloss Stick over top. Real hair has a gloss to it so this mimics that. Used very sparingly, i find this layered application makes my eyebrows look as natural as i could ever hope. 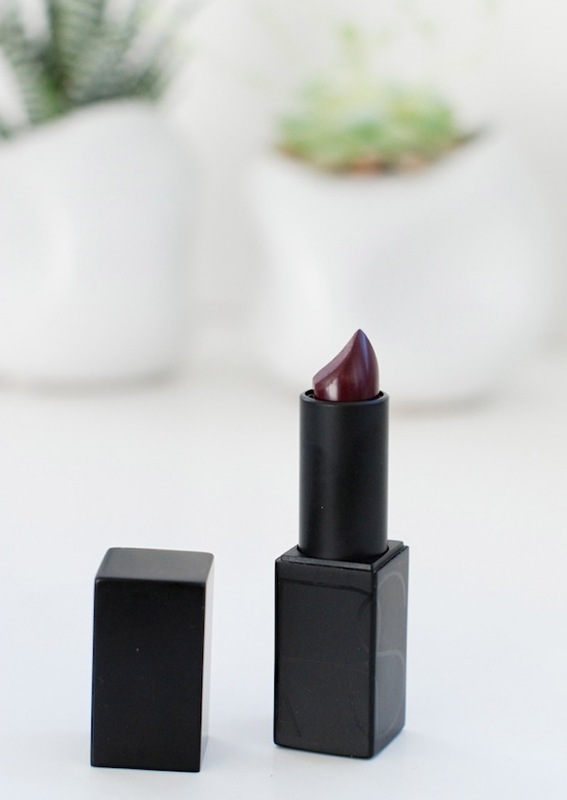 Rich, dark hued lip colour is perfect this time of year. i was on the hunt for a deep plum that i could wear when going out as well as layering for daytime wear. This Nars shade is dark. Really dark. But i think it’s somewhat fun to step beyond the comfort zone a bit. So i went for it. My one must: it has to be creamy vs matte. i can’t deal with anything drying so this one fit the bill. It’s a wonderful shade to give more of a dramatic effect. Would love to hear your current favourite beauty picks…what’s making a difference in your routine at the moment?